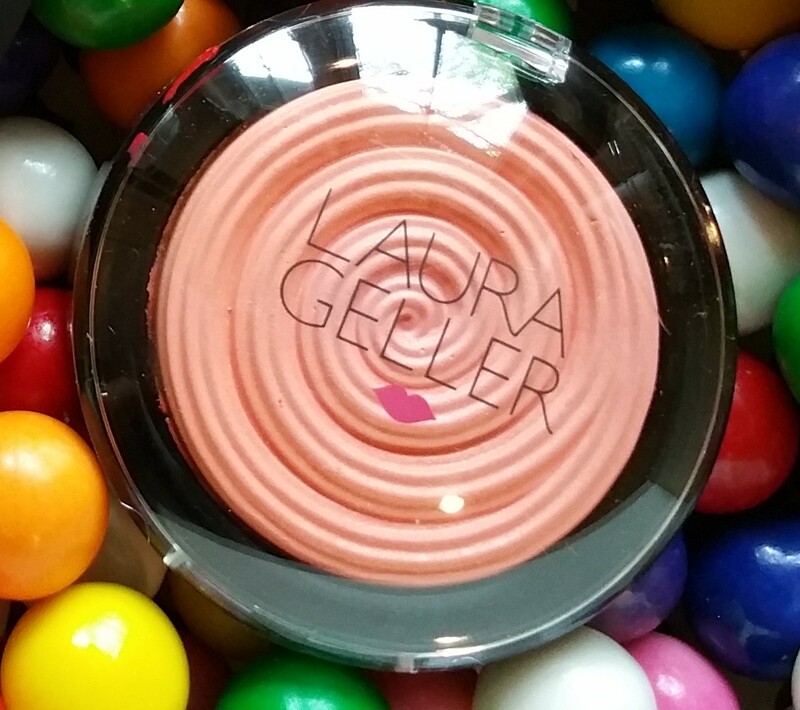 Laura Geller Cheek Colors in juicy and sweet shades! I remember what initially drew me to Laura Geller Beauty. It was her, Laura Geller, and her smile. I used to watch her when she appeared on QVC. That was years ago– maybe even 15 years! But she hasn’t changed a bit. Just this morning I saw an adorable picture of her on Instagram. As for her products, it was the baked beauty collection that beckoned to me, and there is where I was introduced to the quality of her facial powders. That was where I really caught my enthusiasm for her products. To this day Laura Geller’s baked “goods” make me feel lighthearted and put me in the mood to have fun. If you’ve read my blog you probably noticed that I tend to post a lot on brands that I love. Laura Geller is a brand I have been loving for a long time, and am now getting around to writing more about. One product in particular that I’ve loved to death and used for years, is her Baked Body Frosting in Tahitian Glow. Talk about a good deal! You get .85 oz of baked bronzer for $45. I finally had to get rid of mine after it literally lasted over 2 years. In case you aren’t familiar with it, Baked Body Frosting is a body bronzer (or highlighter in the lighter colors) that you can apply dry or wet. “Baked Body Frosting is for whenever you want to show a little skin, and your skin deserves to be polished to perfection. A moisturizing, silky smooth powder that adds the warmth of bronze, or pearly luminosity, to the body. Sugar Glow is like wrapping yourself in moonbeams – sheer, luminous and totally romantic. My intention today was not actually to talk about the Body Frosting, but to show you some of my favorite Laura Geller cheek colors, and introduce some shades that are new to me. Note that many of the items mentioned or shown in this post were purchased and used by me on my own, but a few were provided to me as a courtesy for promotional use. I am most thankful to receive them! As always, opinions are real and mine alone. I would never have thought to buy “Cantaloupe” for myself, because I have this conception (mis-conception actually!) that I can’t wear warm colors like peach or orange. 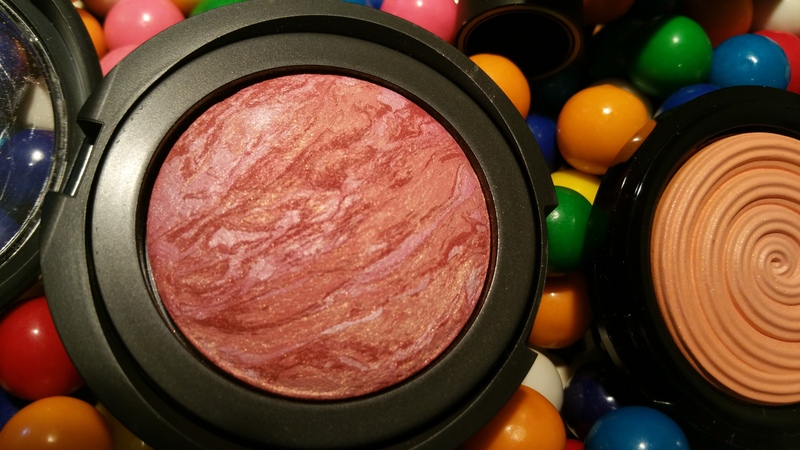 I am so happy I received this color though, because I would have walked right past it and picked out Rosewater, but that is so similar to everything other blush I own! Cantaloupe on the other hand, is something totally new to me. When I swatched it on my hand I could see that it is very creamy and buildable. If you like to have control over color payoff you’ll get it here. Of course, you can always chose to apply it very lightly for a sheer look. On me this color just shows up on my facial skin and provides an accent to bronzer. But on lighter skins you would see a pop of color. Even though it’s too light for me to wear all alone, I ended up loving this product and this color, Cantaloupe! For reference I am light-to-medium skin toned with pink undertones, and have brown eyes and hair. I do use self-tanner so my complexion is often boosted to medium-to-tan. 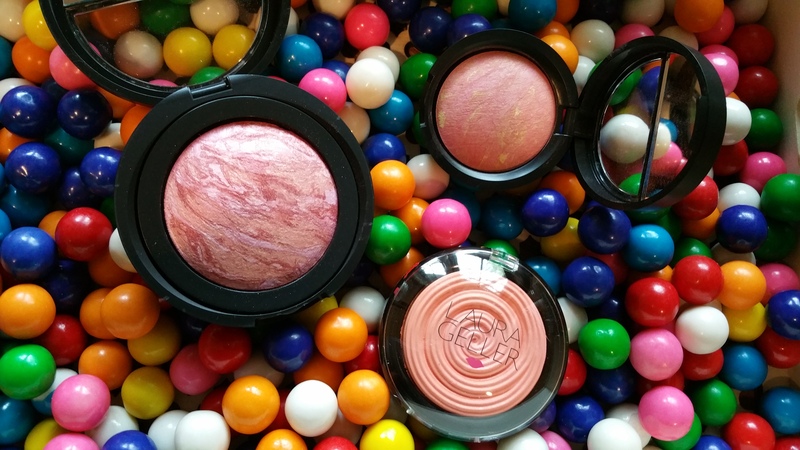 I have Blush-N-Brighten in Pink Buttercream, Pink Grapefruit, Dreamsicle, and now Tropic Hues too! Let’s look at some swatches of the different colors and products side-by-side. Interestingly I think that Pink Grapefruit, Pink Buttercream, and Tropic Hues look kind of similar when in these photos. However you can be sure that in person they are obviously different. 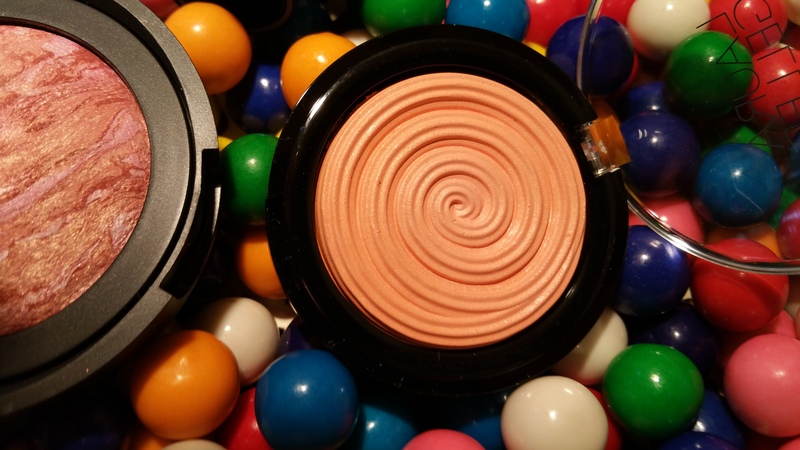 I would say that Dreamsicle is the coolest of the shades, followed by Pink Buttercream. Tropic Hues is warm and fruity / juicy, to my eyes. It combines the warmth of a bronzer with saturated cheek colors. The comparison swatches really give you a sense of how bright and beautiful Cantaloupe is. It is a “true” color rather than a mix of shades. It’s isn’t matte but it’s not shimmery like the permanent Blush-N-Brighten colors. You can really see the nuances coming out in the Blush-N-Brighten colors, created from those random swirls of colors. In my next Laura Geller posts I’m going to show you some side-by-sides of her Baked Balance-N-Brighten foundation shades and Bronze-N-Brighten bronzers and play around and admire her Lip Colors. 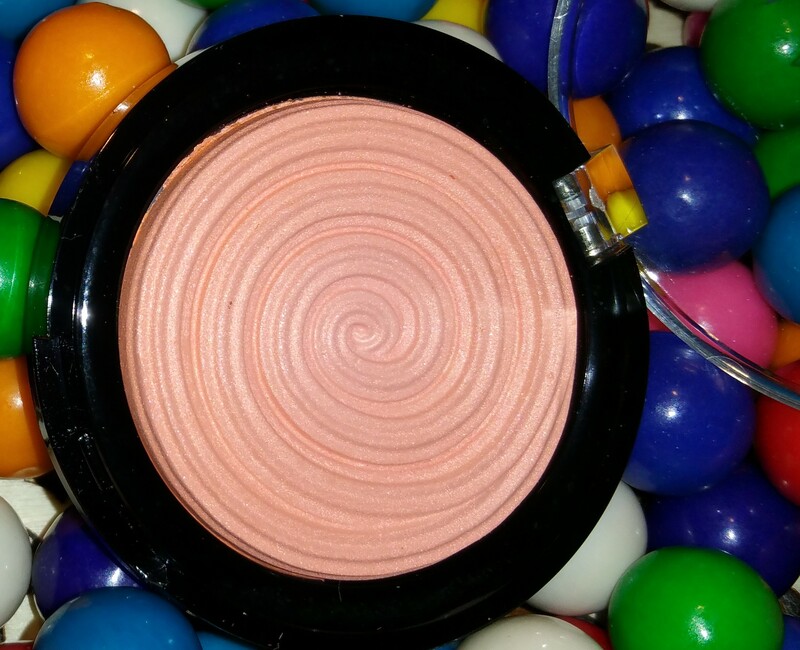 In the meantime, I’m curious to know whether you’ve tried the Baked Gelato Vivid Swirl Blushes too? 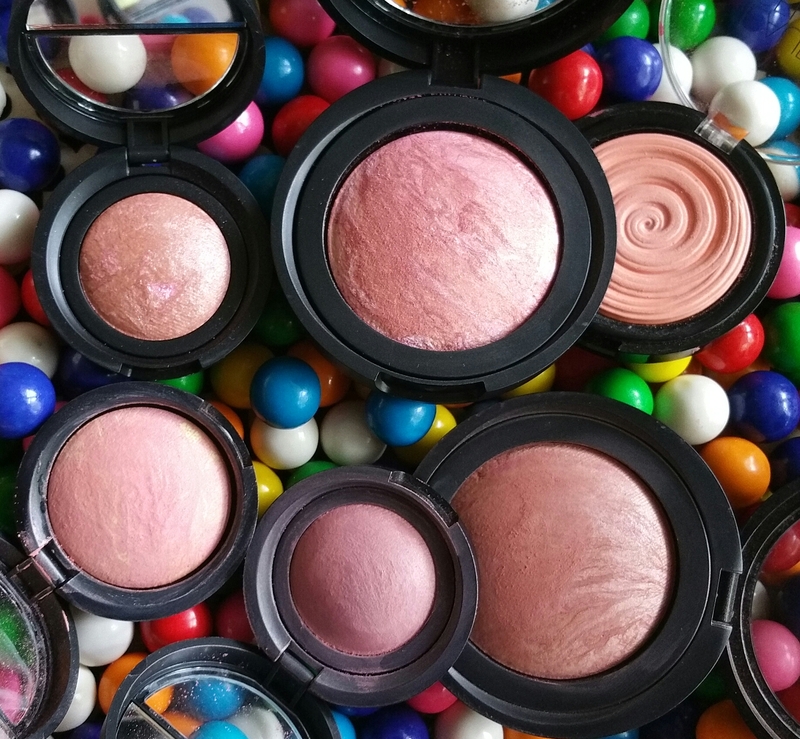 What colors do you wear in Laura Geller’s blushes, and what is your skin tone?